Out of the autumn release really liked the "Unity of Nature" as it is such a versatile bead. It is a lovely bead and I like the colors that your chose. It really is a versatile bead. I am still digging the old Troll vibe. I love how you've shown it with different beads here. It looks gorgeous with the soft blue! 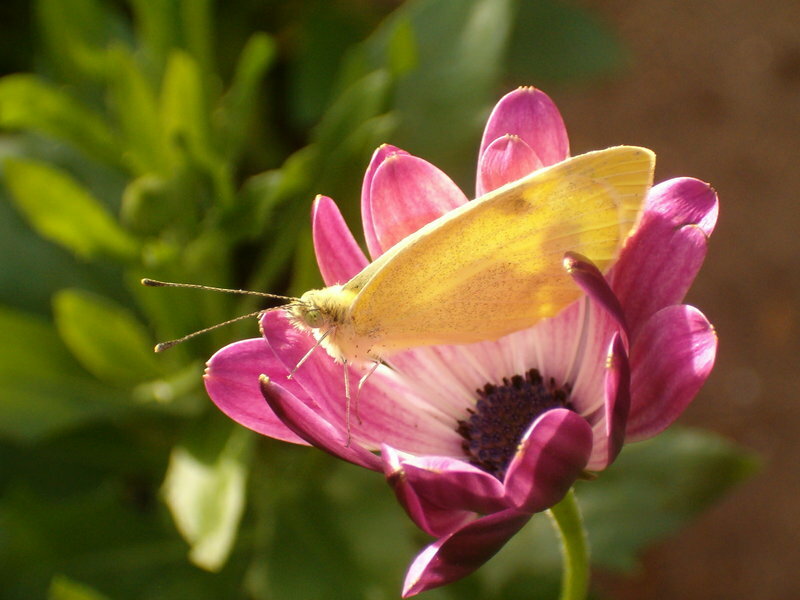 *won't be kicking your flower: "to boot" is a very old English expression meaning "in addition" or "besides." 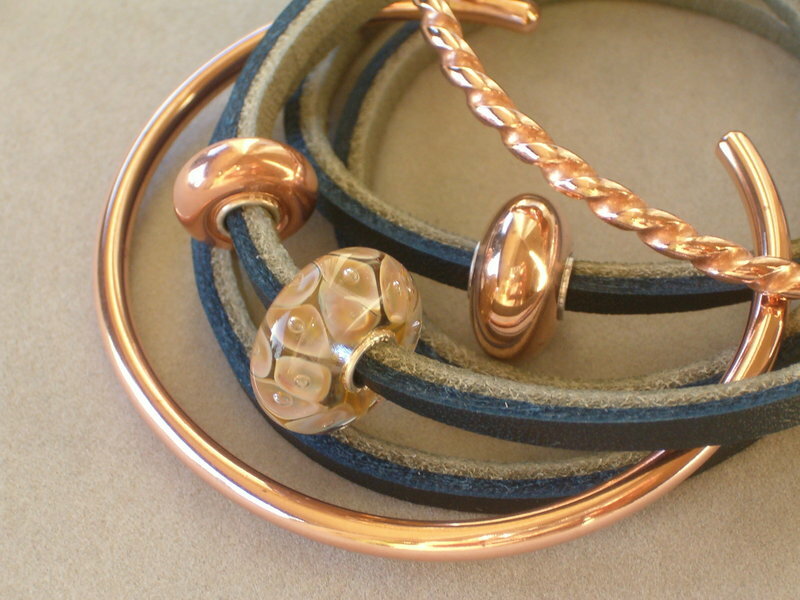 love your picture with the copper bangles, bet that looks very nice when worn together. 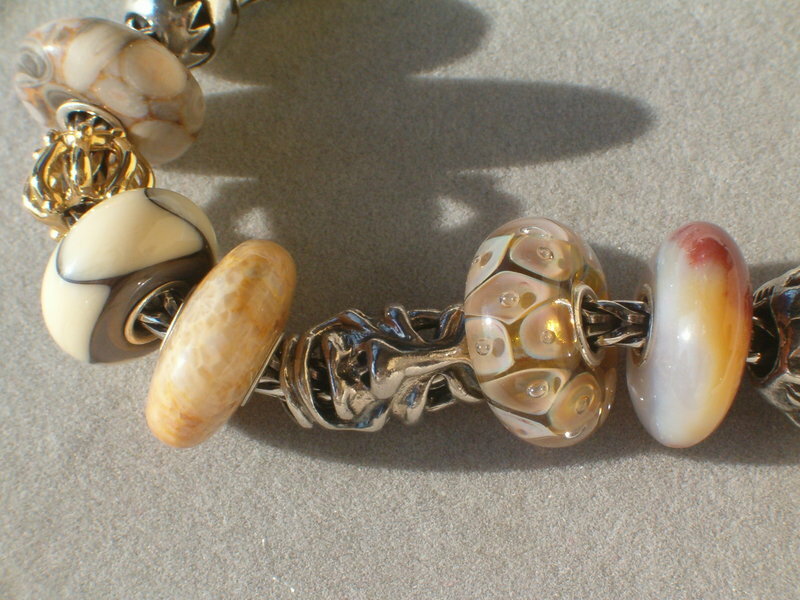 Great bead and lovely combos! 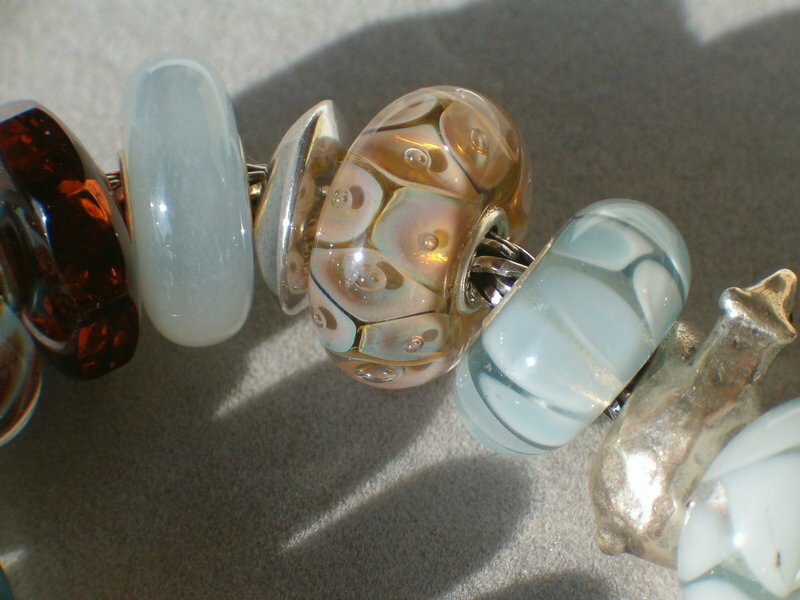 Love your pictures- a total unexpected views of this bead!